When you write a post that does well, a post that people find immensely helpful, it makes it hard to not want to make another post like that again. 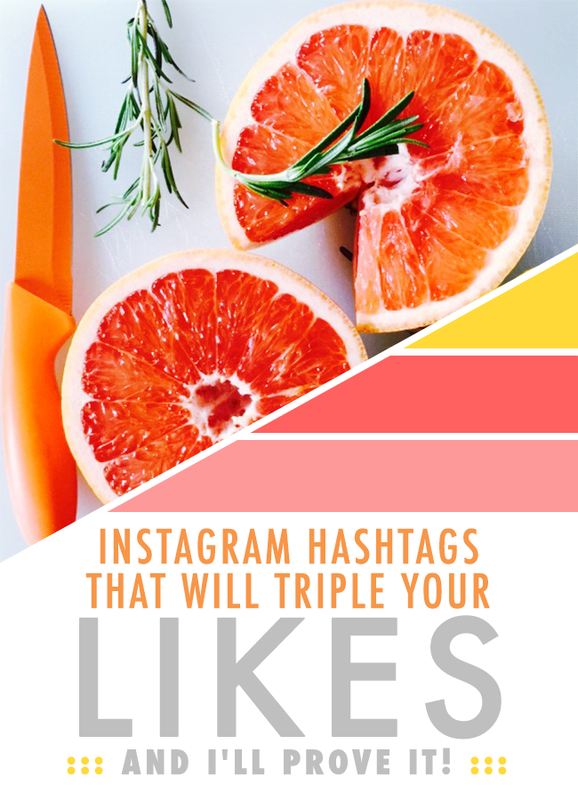 In my first post, Instagram Hashtags for Bloggers that Will Triple Likes, I found 30 hashtags (the limit on Instagram) that I actually tested on an account that had zero followers. They worked, and I proved it to you. 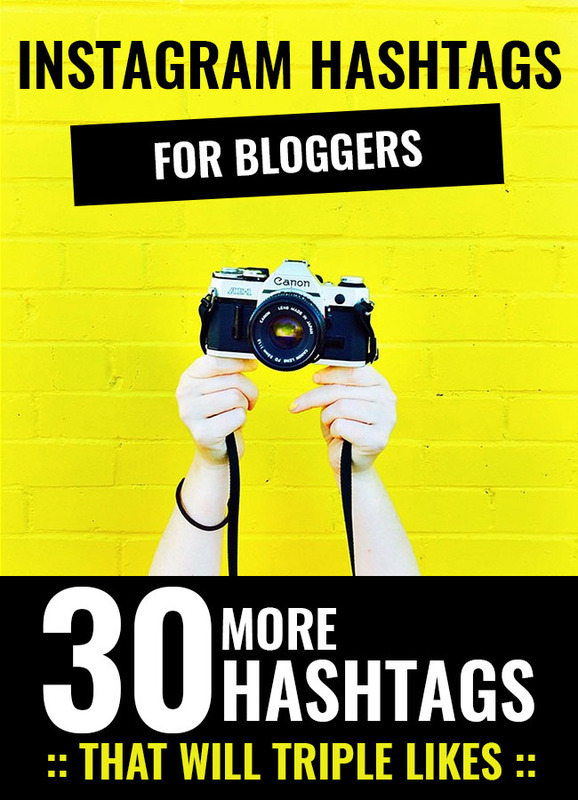 Today, I have 30 more Instagram Hashtags for bloggers to use, that work just as well and some maybe even better. 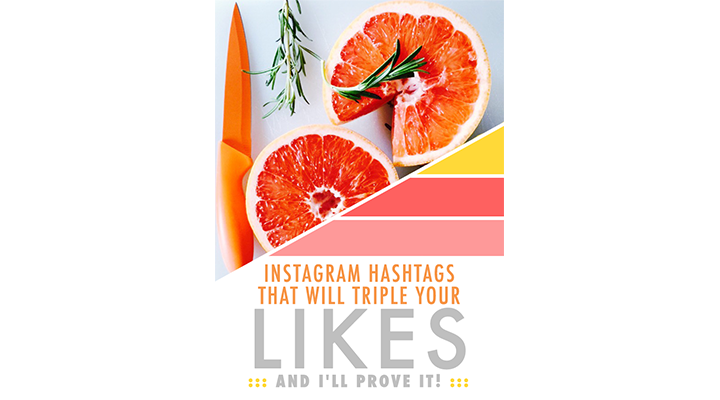 I've included a wide variety of topics from the best dog, pet and cat hashtags to use on instagram, the best food and cooking hashtags to use on Instagram, and the best lifestyle and fashion blogger hashtags to use on instagram. Website: Andreadianna (Tumblr) Regrams Images Using Their Hashtag? YES! Images appropriate for this category? A collective space of lifestyle, art, design, nature, travel and everything in between. Blog: Lover.Ly Regrams Images Using Their Hashtag? YES! Images appropriate for this category? Anything feminine, pretty, creative, colorful... etc. Website: Martha Stewart Regrams Images Using Their Hashtag? Yes! Images appropriate for this category? They are pretty self explanatory for each category, and widely used. Blog: Best Friends For Frosting Regrams Images Using Their Hashtag? Yes! Images appropriate for this category? Anything images that are colorful. Occasionally run specific color challenges as well. Website: Yellow Conference Regrams Images Using Their Hashtag? Yes! Website: The Free Woman Regrams Images Using Their Hashtag? Yes! Images appropriate for this category? Anything that celebrates the FEMALE! Blog: Dulcet Creative Regrams Images Using Their Hashtag? Yes! Website: The Kitchn Regrams Images Using Their Hashtag? Yes! Website: BuzzFeed Weddings Regrams Images Using Their Hashtag? Yes! Blog: Helene In Between Regrams Images Using Their Hashtag? Yes! Images appropriate for this category? Flowers, Cooking, Cocktails, Home, Pretty, Colorful, Friends, Beaches, Anything and everything! I tag every picture with this hashtag. The pup and explore hashtags are self-explanatory! Website: Yahoo Food Regrams Images Using Their Hashtag? Yes! Images appropriate for this category? Foooooooooood pics! Website: BuzzFeed Food Regrams Images Using Their Hashtag? Yes! Images appropriate for this category? Anything tasty and delicious! Website: Huffpost Taste Regrams Images Using Their Hashtag? Yes! Website: The Huffington Post Regrams Images Using Their Hashtag? Yes! Website: Bon Appetit Magazine Regrams Images Using Their Hashtag? Not that I could tell, but lots of regrams from Bon Appetit employees. Website: Bunch Mag Regrams Images Using Their Hashtag? Yes! 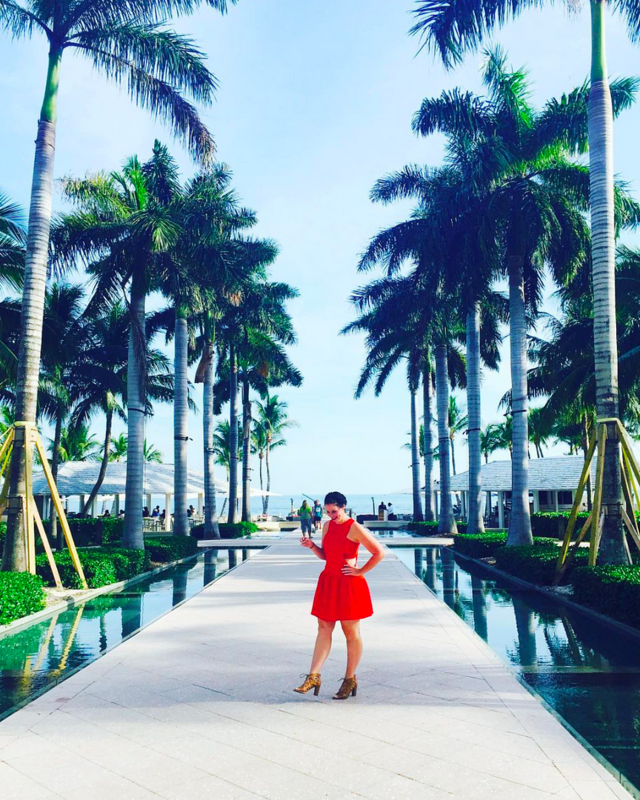 Blog: Instagram's Blog Regrams Images Using Their Hashtag? Yes! Blog: Bark Box Regrams Images Using Their Hashtag? Yes! Website: Matt Crump Regrams Images Using Their Hashtag? Yes! Website: Violet Tinder Regrams Images Using Their Hashtag? Yes! Blog: None that I could see Regrams Images Using Their Hashtag? Yes! Website: One Behind Thirty Regrams Images Using Their Hashtag? Yes! Website: Pawstruck Regrams Images Using Their Hashtag? Yes! Website: Fuzmo Regrams Images Using Their Hashtag? Yes! Blog: Hands in Frame Regrams Images Using Their Hashtag? Yes! Images appropriate for this category? I had to pimp my own tag out right? Anything SPORTS related, like tailgating/watching/playing, use this tag. ------- Just like last post, that was the hardest work possible on a blog post. Time for another nap. Pay it forward, pin it + save it on blogger! Follow me on Instagram if you want, I wouldn't hate it. Have your own hashtag that you'd like featured? Submit it to me to be included in future lists!